Use this guide to find out more about life assurance, how to compare whole of life insurance quotes, and the difference between life insurance and life assurance. Life assurance or whole of life insurance is an assurance policy that is guaranteed to pay out after you die. Life assurance is sometimes referred to as whole of life insurance but it differs to a standard insurance policy in one key area. Due to the fact that death is assured, with whole of life insurance you are not taking out an insurance policy to cover you "in the event of your death". Your life assurance policy is there to cover you "when" you die. As a result this difference means there are some important aspects to consider when comparing life assurance with life insurance. Before you look at whole of life insurance quotes, continue reading our guide to learn more about how it works and if a standard life insurance policy might work better for you. Life assurance or life insurance? So should you take out a whole life insurance policy, or a standard life insurance policy – often referred to as term life insurance – or forget taking out any insurance altogether? When comparing whole of life insurance quotes against term life insurance quotes, the first thing you will probably notice is that the life assurance policies usually come with higher premiums. As a general rule, life assurance is almost always more expensive than term life insurance. This is obviously because the insurer is guaranteed to pay out. With a term life insurance policy, they may never have to pay out as you might survive the entire length of the policy's term. This is the key difference between the two kinds of life insurance policies. A term life insurance policy will have a set amount of time attached to the cover. For example, you could choose to be insured for the next 20 years of your life. If you die during that 20 years the insurer will pay out to cover your financial commitments. If you continue living past those 20 years then the insurance stops. With life assurance, there is no time limit on the cover – it keeps going right until you die. Is a whole of life insurance policy right for me? Obviously, when comparing all the different types of life insurance and cover, it’s important to ask yourself if the 'whole of life policy' is what you need. 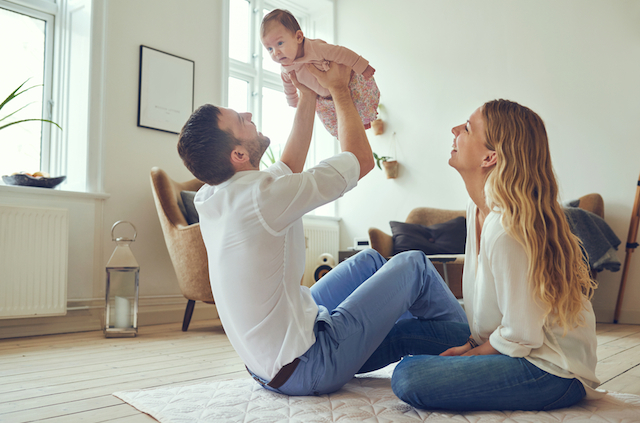 There are many reasons to look at life insurance options, and this could include having a mortgage you might need to continue paying off or young children who might need looking after after in the event of your death. Whenever you have long financial commitments you may want a little extra peace of mind to cover them. However, term life insurance might work out better for you if you know when those commitments will come to an end. For example, you might be aged in your 40s and you have 15 more years left to pay off your mortgage. If you were to die over the next 15 years, ask yourself if anyone would struggle to continue paying off that mortgage. If you wanted the insurance, then a term life insurance policy of 15 years would most likely work out cheaper than a whole of life insurance. The other benefit of a term life insurance policy instead of whole of life insurance is you can budget for paying the monthly or annual premiums. You know when the policy ends, so you know when your premiums end. With whole of life insurance, for as long as you live, you will continue paying premiums. If you do want a guaranteed payout for your family and loved ones after you die, outside of your inheritance, then decide whether you want a balanced or standard whole of life insurance cover or the maximum amount of cover available. As a result you could get some tax breaks for taking out whole of life insurance, as you can list the pay out separately from your assets for inheritance. For some people whole of life insurance is the preferred option because they can ensure that their funeral costs will be covered. Balanced cover or standard whole of life insurance balances out the premiums over your lifetime. As you get older the premiums stay the same. However, a bigger proportion of the money you put in goes towards the policy instead of being invested for the benefit of your eventual pay out. As a result, you will probably pay less than if you took out the maximum cover, but your pay out is likely to be smaller. With maximum whole of life insurance cover, your premiums are likely to increase later on in your life as your insurer reviews the risk. As a result, you will probably have to pay extra on your premiums as you get older. However, because more of your money is being invested, your final pay out after you die is likely to be bigger with maximum cover. Comparing a range of life assurance policy providers is important, but there are some things you can do and be aware of before you start shopping around to try to get the best whole of life insurance deal for you. Naturally, whole of life insurance costs more the older you are, so if you are taking out a policy when you are over 50 then you might want to find a specialist insurance provider. Insurers may also charge you higher premiums if you're not in the best of health, so if you are a smoker you may want to try quitting before you start comparing whole of life insurance quotes. However, many insurers will ask you to take a medical check up before they cover you, so it makes sense to get into shape well before you apply for cover. Getting fit and losing weight, drinking less and stopping smoking can help you get lower premiums on your life assurance. The general rule is, the more of a risk you might be, the more you will pay in premiums, so try to limit your risks before you apply for whole of life insurance.